Bill Murray can do no wrong. 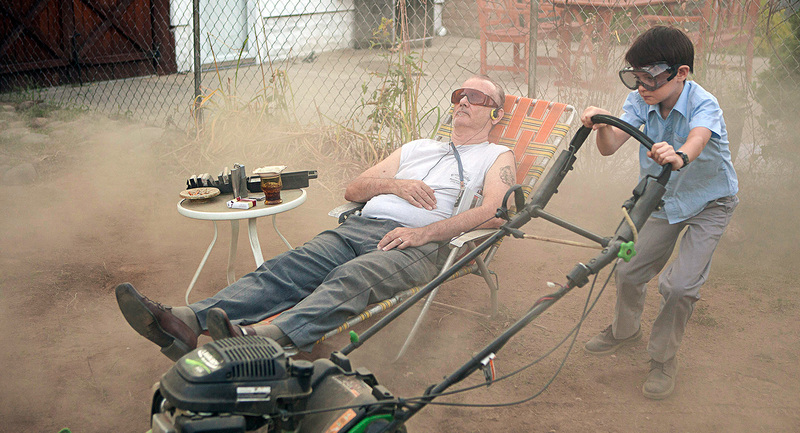 In his latest film, St. Vincent, he plays a grumpy, old, drunk, less than worthy of being a saint, some may say. However, Murray brings his comedic charm and lovable attitude out in this story to transform him into a more saint like character. As were introduced to Vincent, we start to get an idea about him and his hobbies. We learn quickly that Vin has a bad habit of drinking, gambling, and spending lots of time with “his lady of the night.” He does not have many friends and is not too welcoming to those around him. Oh, did I mention he is expecting a child with his stripper friend, played by Naomi Watts. Enter his new neighbors. After a rough and shaky start we are introduced to Oliver, newcomer to the screen, Jaeden Lieberher, and Maggie, Oliver’s mother played by Melissa McCarthy. Vincent wants nothing to do with them and is already bothered by the hassle they have caused while moving in. Vincent wants to stay in his world of being a grumpy drunk and not let anyone new in. Maggie is stuck being a single mother after a less than pleasant divorce. She is trying her best to support Oliver by working crazy hours. Her work schedule quickly becomes overwhelming leaving Oliver to fend on his own after school. Oliver gets the typical new kid welcome at his Catholic school He doesn’t really seem to fit in, both religiously and socially. After a rough start, Oliver manages to get his keys, phone, and wallet stolen, all within his first day of school. Oliver is finally able to find his way home where he is then locked out. As Vincent is pulling into his driveway, the innocent kid asks to borrow Vincent’s phone. Long story short, Vincent is reluctantly turned into Oliver’s baby-sitter, where an unlikely friendship is born. Vincent is far from just being kind. He is broke and demands 12 dollars an hour, not including any snacks. That doesn’t stop Oliver from trying to find the light at the end of the tunnel. He wants to see the best in Vincent and sticks alongside him through his crazy journey that is played out on-screen. Together the odd couple teaches each other lessons on how to survive. Vincent teaches Oliver how to stand up for himself, a small math lesson in gambling, and some geography lessons with a trip into New York City. Without a father figure close by, Oliver starts to get close to Vincent. They spend more and more time together and Vincent slowly starts to become a decent man. You discover Vincent is caring for his Alzheimer bound wife and deep down has a heart under all the scumminess. He may not the best role model, but he is someone for Oliver to hang out with when his parents are not around. The film continues to play itself out with some rough patches in between. The script, which is kind of predictable, still has a playful ending leaving it to be the classic feel good movie. Bill Murray held the movie on his own. After thirty-five years in the film industry he still remains relevant as ever, and manages to surprise audience ever single time. First time director Theodore Melfi took a risk with this film, but I would bet to say he is pretty happy with the results. I would not be surprised to hear Bill Murray’s name when the nominations start to role around during awards season. Although the field of actors roles very deep this year, Bill Murray does not disappoint and is a hit in St. Vincent. The film was released nation wide on October 24th. Oh, and make sure you stay for the credits in the end. Bill Murray does a little karaoke with Bob Dylan which is a great closer to the film.